Rob Drumming On Goldfrapp’s Silver Eye Album! 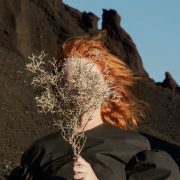 The great new album ‘Silver Eye’ by the band Goldfrapp is now available to buy and download. I am so happy to have been a part of this record as I have been a fan of the band since I first heard the album ‘Black Cherry’. On this new record I played on the track ‘Everything Is Never Enough’ and from the original phone call with Will Gregory to the very last beat of the session it was a real pleasure and exploratory journey! Will explained the vibe for the track and him and Alison asked me to go to his studio and run through the song and a few other ideas that they were working on. So, armed with the audio reference knowledge of the track I took a combination of my DW Collectors and 1968 Ludwig Super Classic kits, which I thought would be the perfect combination. 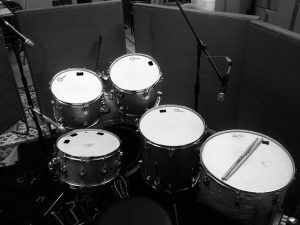 At the session it worked out great and we changed up some snares like the good old Ludwig 400, DW Collectors 13″x5″ and ended up using the DW 14″x7″ with the DW 12″ & 13″ rack toms and 16″ floor tom. Interestingly though we used the 18″ Ludwig Super Classic floor tom alongside the 16″ DW and it worked out great. 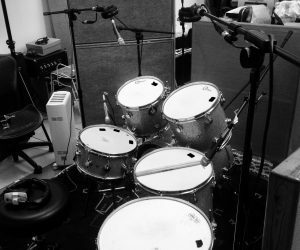 On the other tracks we brought in some cymbals and used other groove ideas and really just experimented over the ideas that they were working on at the time. As for those other ideas, I am not sure whether they morphed into other songs or have been placed on a back burner, but the new record sounds absolutely fantastic and I am sure the live shows will be just as stunning! https://www.robertbrian.co.uk/wp-content/uploads/2017/03/goldfrapp-silver-eye-discography.jpg 425 425 zonkey /wp-content/uploads/2017/03/robert_brian_logo.jpg zonkey2017-04-07 13:08:342017-05-12 13:10:48Rob Drumming On Goldfrapp's Silver Eye Album! Robs Grammy Nomination!! The Littlemen Komedia Gig In Bath!